Cameroonian Troops Tortured and Killed Prisoners at a Base for U.S Drone Surveillance. I saw white men in Salak many times and I heard them talking in English. I think they were Americans. Everyone said they were Americans and we knew American soldiers stocked material in Salak. I saw them running from the back window of my cell, especially in the morning, as well as standing in front of our cell, just where the garage was. Some were wearing plain clothes, others were in uniform. The uniform was like camouflage clothing, green and beige. Troops in the West African nation of Cameroon have tortured prisoners at a remote military base that is also used by U.S. personnel and private contractors for drone surveillance and training missions. As the U.S. military has fortified the Cameroonian site, known as Salak, and supported the elite local troops based there, the outpost has become the scene of illegal imprisonment, brutal torture, and even killings, according to a new investigation by The Intercept and the Goldsmiths, University of London-based research firm Forensic Architecture, based on extensive research by Amnesty International. Nearly 60 victims held at Salak described to Amnesty International how they were subjected to water torture, beaten with electric cables and boards, or tied and suspended with ropes, among other abuses. No evidence has emerged that U.S. personnel were involved in torture, but photos and videos from Salak show U.S. soldiers and civilian contractors near the facilities where prisoners were held, and detainees testified to seeing and hearing Americans in uniform during their imprisonment. Over the last decade, the United States has devoted hundreds of millions of dollars to Cameroon (more than $111 million in security assistance since 2015) while training its elite military force and providing everything from arms to humanitarian aid to development assistance. “We are proud of the Cameroonian Security Forces’ commitment to protecting Cameroonian citizens,” said U.S. Ambassador Michael Hoza in a speech earlier this month. Last spring, Hoza praised the conduct of Cameroon’s elite Rapid Intervention Battalion (known by its French acronym, BIR), which Amnesty specifically accuses of torture. “In their training, conduct, and leadership, the BIR exhibited all of the values we expect in our own armed forces — professionalism, protection of the civilian population, and respect for human rights,” Hoza wrote. The new report by Amnesty International — which catalogues the cases of 101 individuals subjected to illegal incarceration, torture, or extrajudicial killing by Cameroonian security forces at multiple sites — stands in sharp relief to the ambassador’s comments and raises serious questions about ongoing U.S. support. The Cameroonian airfield and military base at Salak, in the northern border region wedged between Nigeria and Chad, expanded as Boko Haram’s indiscriminate attacks on civilians increased, leaving tens of thousands across the region injured or dead and millions of others displaced, and following the April 2014 kidnapping of 276 girls from a school in Chibok, Nigeria, which generated international attention. 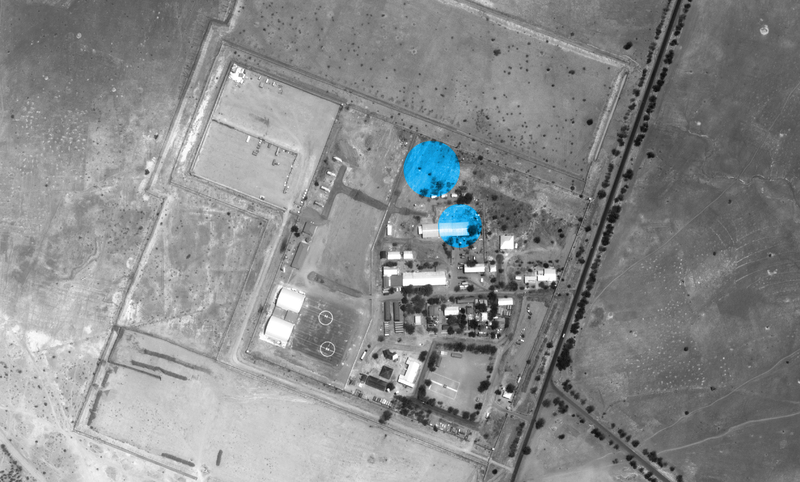 Satellite imagery shows the significant expansion of the base, including the construction of two buildings between December 2013 and January 2015 later described to Amnesty International by witnesses as “the Americans’ buildings.” By 2015, a U.S. Naval Mobile Construction Battalion appeared to be beefing up fortifications at the camp. Around the same time, the U.S. Defense Department arranged for Insitu, a subsidiary of the defense giant Boeing, to supply Cameroon’s military with six ScanEagle surveillance drones worth $9.3 million, according to contracting documents. Today, Salak serves as the headquarters of Operation Alpha, the BIR’s internationally backed counterterrorism campaign against Boko Haram, and an increasingly integral site for the U.S. military’s operations in West Africa. Yet Amnesty International found that Salak is also used as an illegal prison to hold people detained by the BIR. The prisoners are mostly men — often military-age, often Muslim, and often members of the Kanuri ethnic minority — but women and children as young as 7 have also been held there. The human rights group documented pervasive use of stress positions, suspension by ropes, and water torture in addition to sleep deprivation, extraction of fingernails, burning, and electric shocks. Former detainees, their families, lawyers and others also described beatings with chains, batons, machetes, and other objects. “In Salak, I was permanently chained up. I was only given one meal per day, and I was tortured at least three times. The first two times, men in plain clothes beat me severely all over my body with electric cables,” one former detainee told Amnesty. Amnesty estimates that dozens of prisoners died as a result of torture and other ill treatment in detention facilities run by the Cameroonian security forces between 2013 and 2017, but the number could be far higher. Former detainees at Salak described a routine process by which corpses of those who died in group cells after being tortured were wrapped in plastic by other detainees and transported off site by BIR troops. Multiple detainees witnessed white men, sometimes identified specifically as Americans, exercising or working in an open-air “garage” immediately south of the detention cells. “During my detention in Salak, I saw white men there on several occasions. Most of the time, I saw them from the windows of my cell. I saw them jogging in the early morning, from the back window of my cell. … I also saw them standing or talking from the front window of the cell — the window that faced the garage,” recalled one former prisoner. Further evidence of a persistent American presence on the base comes from public social media postings by a 20-year veteran of the U.S. Air Force, now employed by Boeing subsidiary Insitu, who began working at the base this spring. Forensic Architecture discovered photographs geotagged at Salak and shared on social media by the American veteran, who did not respond to The Intercept’s requests for comment. The images offer an unprecedented window into activities at the base and line up with previously reported details about U.S. operations in Cameroon. 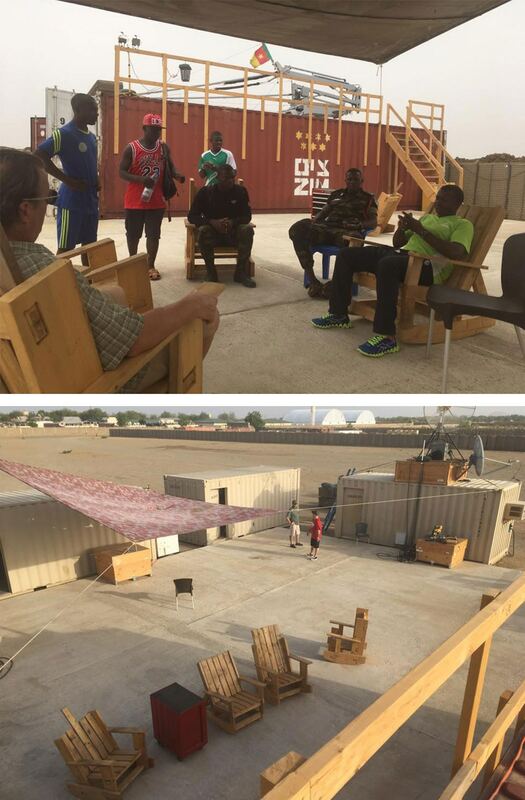 A video posted that same day by the veteran shows U.S. and Cameroonian forces playing a game of night vision soccer on a tree-lined square at the south side of the Salak base. At least one person can be heard speaking English with an American accent. It’s impossible to know if all the white men on the base were Americans and which Americans were active duty military personnel. “What I can say is a small number of contractors and U.S. forces rotate in and out interminably based on mission,” AFRICOM’s Jennifer Dyrcz replied when asked if U.S. personnel were living on the Salak base. Spatial analysis by Forensic Architecture, utilizing satellite imagery, open-source material, and 3D modeling to geolocate the Air Force veteran’s photos, confirms the precise areas visited by Americans. Combined with interview material obtained by Amnesty International, the group’s work indicates Americans — and possibly French military personnel and Israeli contractors — have apparently unrestricted access to Camp Salak, and have regularly been present at, or very near, sites where detainees have been incarcerated or tortured. Such abuses should come as no surprise to the U.S. government. The State Department’s Bureau of Democracy, Human Rights, and Labor has long chronicled human rights violations in line with Amnesty International’s findings. In 2007, the State Department’s annual human rights report noted that “more than 100 persons were reportedly beaten after members of the Rapid Intervention Brigade arrested them in and around Maroua, in the Far North Province. The victims were detained for several days at Salack [sic], where many of them were stripped naked, blindfolded and beaten, then held in a cell with water on its floor.” In every State Department human rights report since 2010, BIR troops have been cited for assaults, killings, and other outrages against noncombatants. Last year’s report specifically cited previous investigations by Amnesty International into torture and deaths at Salak. The United States has a long history of supporting and working with foreign forces accused of torture, and recent events suggest the practices continue. Just last month, the Associated Press reported that U.S. military interrogators were collaborating with forces from the United Arab Emirates who tortured detainees in Yemen. A video also recently surfaced that appears to show U.S.-allied troops in Syria torturing prisoners. And from the Philippines to Vietnam to Iraq, Americans have engaged in such acts themselves. Following the 9/11 attacks, the United States began employing methods of torture — including water boarding and stress positions — under the euphemism “enhanced interrogation.” According to the new Amnesty International report, when researchers confronted a representative of Cameroon’s minister of defense with accounts of prisoners being bound, suspended by ropes, and beaten, he claimed the practice was “exploitation approfondie.” Translation: enhanced interrogation. Previous Post Previous post:All you need to know about the Cameroonian Armed Forces. Next Post Pentagon Denies Knowledge of Cameroon Base Abuses- Despite Being Aware of Reports of Toture.